It was the only day that the Holy of Holies was entered in the temple. The High Priest would baptize himself & put on special white clothes & symbolic gold jewels. He would make many specific sacrifices and prayers while the people fasted and prayed. This year (beginning September 23, 2015) is a special Day of Atonement because it is also a 7th year Jubilee AND a Shmita of the 7th Jubilee. Leviticus 25:8-13 "And thou shalt number seven sabbaths of years unto thee, seven times seven years; and the space of the seven sabbaths of years shall be unto thee forty and nine years. Then shalt thou cause the trumpet of the jubile to sound on the tenth day of the seventh month, in the day of atonement shall ye make the trumpet sound throughout all your land. And ye shall hallow the fiftieth year, and proclaim liberty throughout all the land unto all the inhabitants thereof: it shall be a jubile unto you; and ye shall return every man unto his possession, and ye shall return every man unto his family. A jubile shall that fiftieth year be unto you: ye shall not sow, neither reap that which groweth of itself in it, nor gather the grapes in it of thy vine undressed. For it is the jubile; it shall be holy unto you: ye shall eat the increase thereof out of the field. In the year of this jubile ye shall return every man unto his possession." In a Jubilee year there is to be NO plowing, planting, or reaping of the fields at all. Something I've never seen in my lifetime. The farmers here mistakenly think rotation farming, leaving a different field fallow each year, is somehow following the commandment of the jubilee. It is a lack of our faith NOT following this. Not that it's an easy exercise in faith! This is very hard, to plan to rely on the LORD for a whole, not one, but two years. You see, if you don't plant, there is no harvest the year after the jubilee either. You would have to plow & plant before you could get a harvest the year after the jubilee. BUT the LORD promises that HE will bless the 6th year abundantly IF we will obey HIM. Leviticus 25:18-21 "Wherefore ye shall do my statutes, and keep my judgments, and do them; and ye shall dwell in the land in safety. And the land shall yield her fruit, and ye shall eat your fill, and dwell therein in safety. And if ye shall say, What shall we eat the seventh year? behold, we shall not sow, nor gather in our increase: Then I will command my blessing upon you in the sixth year, and it shall bring forth fruit for three years." Israel was judged for not following the jubilee years. They lost their land and have gone through hardships beyond imagining. The punishments for disobedience were laid out in Leviticus 26:14-39. Then in verse 44 HE says, "And yet for all that, when they be in the land of their enemies, I will not cast them away, neither will I abhor them, to destroy them utterly and to break my covenant with them: for I am the LORD their God." We must remember that YHWH does NOT forget HIS people. If you have a personal relationship with HIM, you are one of HIS people too. This video is a nice explanation of the temple and the Messiah's fulfillment. Y'shua (Jesus) is the answer to the problems of this earth. I hope you will take some special time this year to renew your relationship with HIM and pray for HIS people all over the world. What a great summary. I am teaching a Biblical Feasts and Holy Days class in our homeschool co-op this year and finding it completely fascinating! 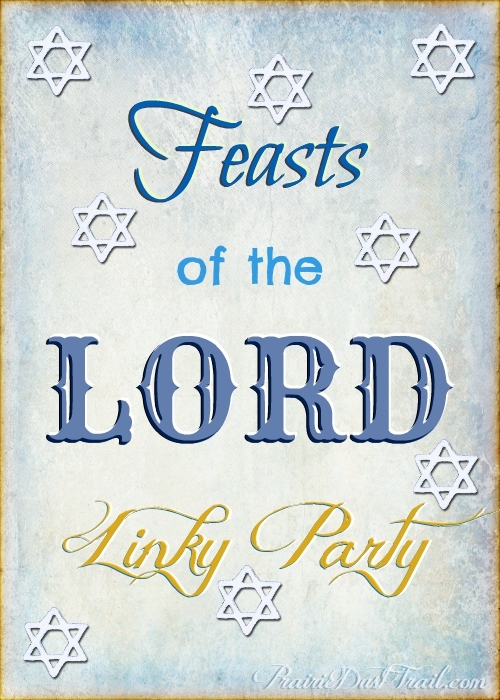 So much fascinating symbolism in the feasts and so much of God's faithfulness revealed. That is so neat!!! Wow a whole homeschool coop interested in this fascinating study... I'm amazed. I'm so glad you have that opportunity! Praise the LORD!